Being that I am always trying to work my family into a healthier and cleaner lifestyle without all the terrible things we rely on, I am always on the lookout for better quality products for each of them. We have become so unaware of what we are actually putting into our bodies. With two extremely active children and being pregnant myself, I have been trying desperately to get my family on a better lifestyle track. We all know how difficult it can be to get our children to eat and drink the right things let alone take their daily vitamins. Now with both my boys playing baseball and the weather getting extremely warm, we are also constantly battling them to keep hydrated. Knowing that the more common sports drinks available most everywhere have tons of added sugar and tons of ingredients (fillers) you can barely pronounce let alone even know what they are, I have been forced to search out a better alternative. 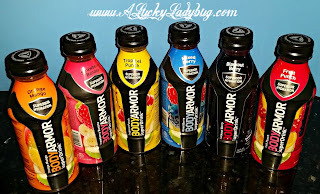 I recently discovered Body Armor Super Drink and right away I knew it was something I needed to try with my family! "Dehydration is the #1 cause of sports performance problems and injuries in young athletes. Even mild dehydration will impact your child's strength, energy, and coordination." A natural sports drink with "superior hydration", Body Armor is finally a drink which provides my family with a great tasting, fruit flavored, and healthy beverage. 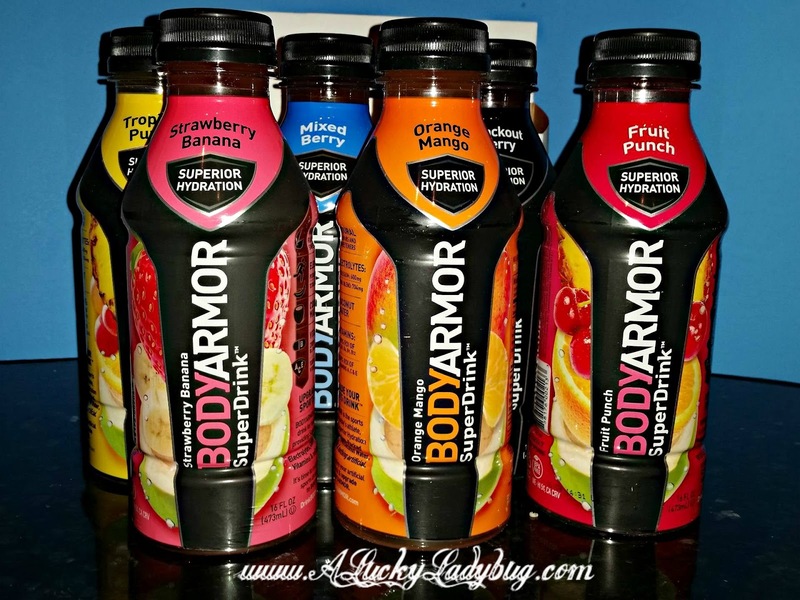 Body Armor is made using natural flavors and sweeteners with no artificial colors or preservatives. There is no caffeine so this is NOT an energy drink but most people would be surprised to know that just keeping hydrated, creates a natural energy for your body and muscles. 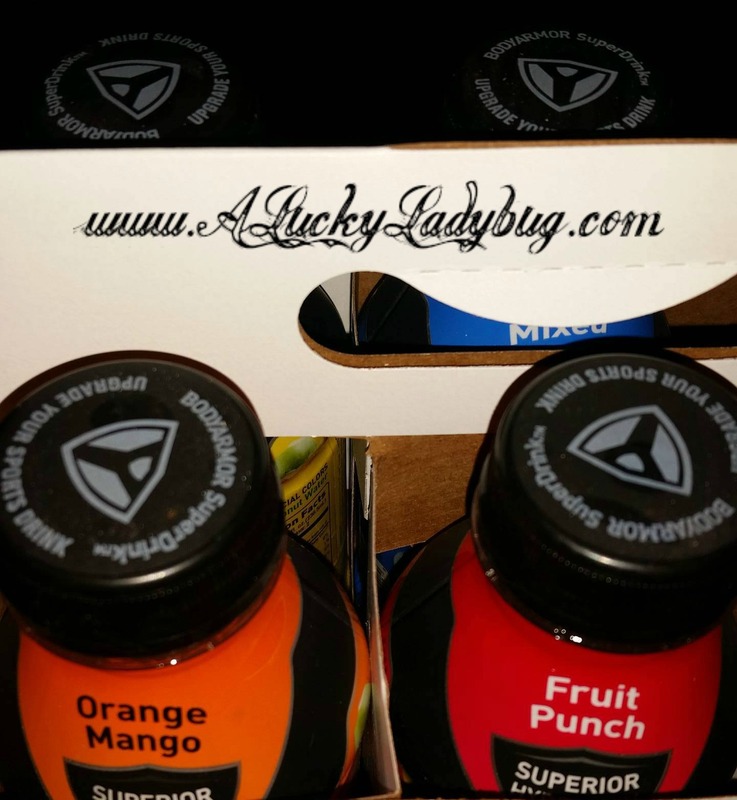 Plus, each of the flavors in the Body Armor All-Star lineup are gluten free filled with potassium packed electrolytes. Not only do I feel great about what the kids are drinking during the day but as a pregnant mother, I can feel confident in keeping myself hydrated too without worrying about compromising my unborn child's health at all. You can taste each delicious fruit and the refreshing coconut water in each sip. While I was sent over a nice variety pack of flavors to try, they barely lasted a few days in our household. Each of us were hooked on our own personal favorite flavor (and even had a personal flavor preference depending on the activity or time of day). I was thrilled to discover that our local Kroger carried the full line-up which we took full advantage of the second the last drop was consumed. 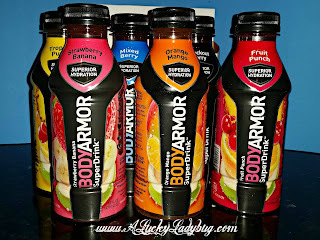 I've also found Body Armor available at Target with currently some great cartwheel deals and sales. As if you couldn't tell from the rest of this post, I have to say we all love the Body Armor! I am actually drinking the Spirit right now as I write my review. 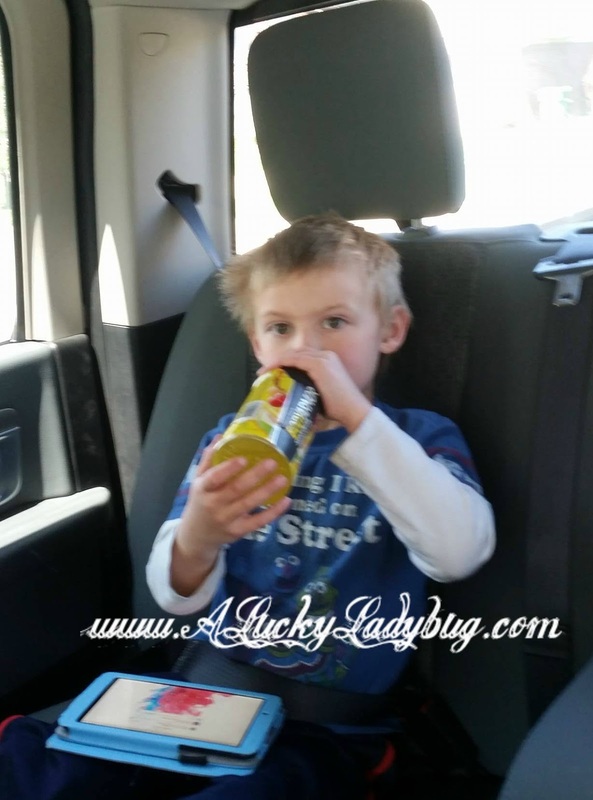 :) It's become our sports, work, lunch, and pregnancy complete Go-To Beverage!